NSW Minister for Women Pru Goward wants all bodies dealing with family abuse to share their information in a bid to stop women dying as a result of violent relationships. Ms Goward said she was shocked to learn that only one in 10 domestic violence homicide victims were previously known to police. “What we need to do is develop protocols for sharing information, particularly between hospitals and police, who are bound by confidentiality,” Ms Goward said. “Both are employees of the state and it can’t be beyond parliament to make sure proper rules are in place. 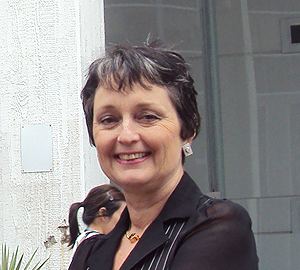 Ms Goward’s plan would include a database for relevant agencies so they can be better informed about the risk to the victim and the frequency of abuse. The first step passed through cabinet on Monday night. It consisted of a ministerial working group that will advise the state government on the safest way to implement the changes. It will be headed by Ms Goward, Police Minister Michael Gallacher, Attorney-General Greg Smith, Health Minister Jillian Skinner and Aboriginal Affairs Minister Victor Dominello. The changes are expected to be up for public consultation in March. Stephanie, who for legal reasons cannot use her real name, got an AVO against her partner a year ago. The 32-year-old said many women did not report abuse because it was “insidious” and sometimes doesn’t present itself as violence at the outset. “Over time it went from being manipulative, and then was intimidation,” she said. According to Auditor-General Peter Achterstraat, domestic violence is the greatest single factor contributing to death, ill health and disability among women under the age of 45, and costs the state’s economy more than $4.5 billion per year. There is typically a spike in domestic violence in January, which Ms Howe said had a lot to do with families spending more time together. In 2011, there were 2,616 reports of domestic violence in January, compared to 2,368 a month earlier. a set of directions that outlines court procedures and guidelines. The rules of the Family Court are the Family Law Rules 2004 and the rules of the Federal Magistrates Court are the Federal Magistrates Court Rules 2001.